Since retiring from professional golf after the 2008 season Annika Sorenstam has become involved in a wide variety of businesses. Ritz-Carlton Destination Club has just announced she will be an ambassador for the brand and they will work together on unique experiences for club members. As part of the exclusive partnership, The Ritz-Carlton Destination Club will create an "ANNIKA sense of place" at club locations with ANNIKA products including everything from signature clothing and fragrances, to wines and autographed photography. One of Annika's favorite activities is cooking and special culinary events, wine tastings and golf outings with Annika will provide memorable, once-in-a-lifetime experiences for members of all ages. The ANNIKA Academy will also take the team on the road to select club locations to inspire players of varying skill levels to reach their potential by transferring more energy and power from the gym to the golf course. "We are thrilled to have Annika Sorenstam represent The Ritz-Carlton Destination Club," said Peter J. Watzka, executive vice president and chief operating officer for The Ritz-Carlton Development Company, Inc. "This partnership is an excellent opportunity for The Ritz-Carlton Destination Club to work with one of the world's top golfers and offer our discerning Members extraordinary experiences they will not find anywhere else but at our Clubs." "I am honored to represent The Ritz-Carlton Destination Club brand, which is the most prestigious Destination Club in the world," said Annika. "There is a lot of symmetry between the lifestyle The Ritz-Carlton affords their Members and the products and services my brand represents. Together we will provide inspirational Member experiences." The Ritz-Carlton Destination Club created the "Lion & Crown Golf Series," a sequence of Member/Guest tournaments at key Club destinations. Annika will serve as host for the series in 2010. 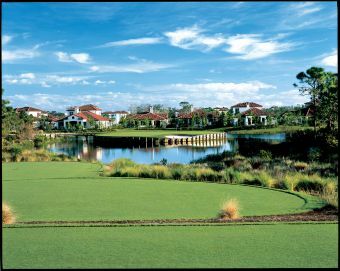 The finals for the "Lion & Crown Golf Series" will take place at The Ritz-Carlton Golf Club & Spa, Jupiter the last week in September. Annika began playing golf at the age of 12 and is considered the greatest female golfer of our generation and often regarded as the best of all-time. During her 15-year Hall of Fame career, she rewrote the LPGA and Ladies European Tour record books, won countless awards and changed the way women's golf was played, viewed, and covered. She amassed 89 worldwide professional victories, including 72 LPGA wins, ten of which are Major Championships. Her interests now include the ANNIKA Academy, ANNIKA Financial Group, ANNIKA Course Design, the ANNIKA Collection of apparel with Cutter & Buck, signature high-end wines with Wente Vineyards, and an online retail shop, shopannika.com. In 2007, Annika created the ANNIKA Foundation as a way to teach children the importance of living a healthy, active lifestyle through fitness and nutrition, and offer aspiring junior golfers opportunities to pursue their dreams. In 2008, Annika joined Arnold Palmer as only the second Ambassador of the United States Golf Association, and in 2009, along with Jack Nicklaus, she was named a Global Ambassador by the International Golf Federation and aided in the successful bid for golf in the 2016 Olympic Games. Several destination clubs have prominent athletes as ambassadors and members. Tim Henman is an ambassador for the Hideaways Club. Steve Young and Doc Rivers are members at Ultimate Escapes. Other clubs claim athletes as members, but don't announce their names, and they can enjoy the privacy and anonymity that the club and the private homes provides.